Review: Also known as Art Of Tones, Ludovic Llorca's "The Garden" album landed on Must Have Jazz in 2017 and remains a sleeper hit of effervescent modern electronic soul. 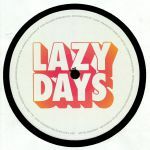 Now Lazy Days have stepped up to shine a light on the record, and in particular the track "Wonder Why", with this tidy remix package. On the A side Crazy P's Hot Toddy brings a deliciously synth-soaked brand of cosmic funk to the track, keeping the groove simmering and weaving illustrious strings over the top. 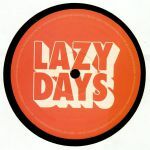 On the flip, Lazy Days boss Fred Everything delivers two "Space edits" of the track that keep the chunky funk of the original rolling along, with the instrumental version reaching to particularly dizzying heights. 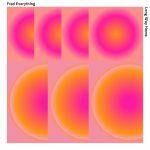 Review: Fred Everything's Lazy Days label is always one for summery sounds, and they've got that in abundance from Parages label regular OJPB. 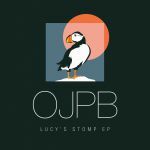 The vibe on "Lucy's Stomp" is insanely upbeat, all cheery funk licks with a little French psychedelia draped over the top. "Mis A Part Et Fini" has a more dreamy outlook with its sky-reaching lead synths and hazy strings. Fred Everything dives in on "Bridgetown's Pyramid" and makes it into a sizzling bongo-powered groover, bringing out the warm ingredients in OJPB's original and matching it with his instinct for a sustained dancefloor atmosphere.